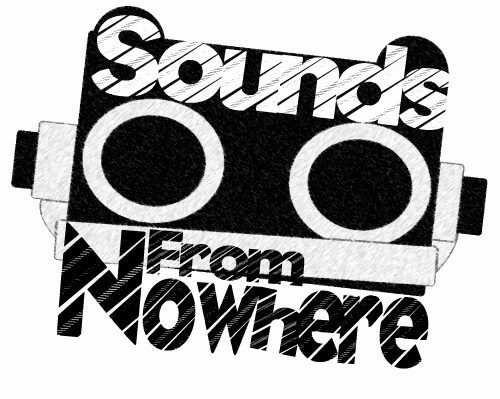 Sounds From Nowhere‘s Jack Cinnamond debuts a new editorial series. In the United States, the 1960s police drama Aquarius returned with a cracker two-hour ad-free second season premiere last week, in the UK the last season aired on Sky Atlantic last year to critical mixed acclaim. I’m not here to review the show, or even talk about the show in heavy detail, I’m here to talk about the best thing in the show (not David Duchovny), the music. David Duchovny & Grey Damon as their characters Detective Sam Hodiak & Brian Shafe, photo credit: NBC. Music is in the show’s blood, which is often the thought of TV shows nowadays but for a show set in 1967/1969, it is vital. The show stars David Duchovny (X-Files, Californication) as L.A. dectective Sam Hodiak who hunts for a missing teenage girl, who has actually ran off with iconic killer/cult leader Charles Manson (portrayed fantastically by Gethin Anthony), who was also a “musician”. The first season blasts off with the whole theme by showcasing it’s chosen soundtrack within the first episode titled “Everybody’s Been Burned”. From the opening we get The Byrds‘ “Everybody’s Been Burned”, which is a fantastic choice for the season’s first musical offering. Written by David Crosby and taken from The Byrds‘ often-overlooked fourth album Younger Than Yesterday (Columbia, 1967), the song is quite important to the atmosphere by it being the first piece of music you hear as the missing girl Emma leaves her home for the final time in the very first minute of the pilot. Just shortly after that, we get a taste of the rock offerings, as The Byrds quickly transform into The Who‘s classic “I Can See For Miles” as we see the Hollywood skyline. That first episode also brings along songs like “White Rabbit” by Jefferson Airplane and “Paint It Black” by The Rolling Stones, bringing together what could be mistaken as a Best of The Sixties CD at a local HMV. While we get a more basic offering too, with The Chocolate Watchband, Michael Liggins, The Fly Bi Nights and even an early appearance of “Look at Your Game Girl” by Charles Manson himself. Gethin Anthony as Charles Manson, photo credit to NBC. Following on from that, we get to hear The Monkees, The Parliaments, The Marvelettes and a host of more in the second episode, which is titled “The Hunter Gets Captured by the Game” named after The Marvelettes song itself. The Souls, The Seeds and others make appearances. The third episode, titled “Never Say Never to Always” after the Charles Manson song, brings The Who again this time along with Booker T & the M.Gs, Donovan, The Deepest Blue and even two Charles Manson songs (preformed in-show). The show slows down with the chart-toppers for the rest of the season, mostly but brings in artists like Chet Baker, Etta James, The Kinks, Charles Manson, Dreamtime, Nancy Sinatra, Charles Manson, Frank Sinatra, The Bad Seeds and even more Charles Manson. We get a solid mixture of almost everything you’d expect, whether it be the jazz stylings of Chet Baker or the rock n’ roll sounds of The Who. The second season kicks off in style too by bringing “Susie Q” by Creedence Clearwater Revival, “The Wrong Slant on Life” by The New Arrivals, “To Susan on The West Coast Waiting” by Donovan and even “Little Green Apples” by R&B legend O.C Smith. Aquarius airs on NBC every Thursday night and will (as-yet unconfirmed) return to Sky Atlantic sometime soon.